Can someone chime in whether angled brake track can yield maximum aero in contrast to straight brake tracks? Enve, Zipp, Bontrager, Easton and Vision all have angled brake track. Perhaps the whole purpose of angled brake track is for clearance issues? Racing is a three-dimensional high-speed chess game, involving hundreds of pieces on the board. Interesting facts. This where FLO 30 really shines. It's the only aluminum rim with angled brake track. "The patent is centered around two primary design features: a rim that is wider than the tire, and a brake track that angles inward, toward the tire, creating a tangential line off the tire." compare front tire/wheel area hiting laminar air with area of rest of the "system" : frame and (biggest number) rider, and you will have own conclusion what is real, what is just drilling our pockets . When i bought my Easton wheels i asked Easton if the wheels were made to work better with wider tires (25+ mm). 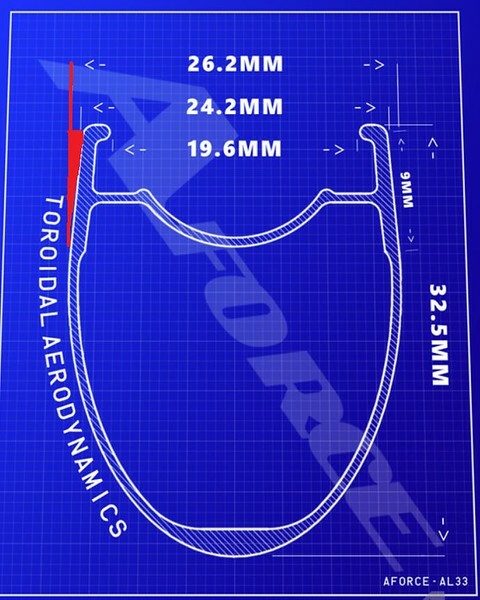 Actually, the rim shape was optimized around 22-23mm tires. According to Easton the wheels(+tires) will be faster (talkling aero not RR) when constructed with a rim profile wider than the tire. So the Aero 55 rim is 28mm C-C over brake track and bulbs out to around 30mm at widest. This is rather opposite compared to using old profile like Lightweight V-shape 19,5-20mm rims and 25mm tires. To add something wildly different, just look at the shape of Alchemist Zirconium Z40.40. That rim is really not symmetric but told to be more aero due to this shape!? The fun and /or strange in all this, is that they could write up whatever they wanted and we would be inclined to believe it. I just wait for the day someone rides a less stiff wheel and finds it faster than a stiffer. Same with frames really. I wonder, when does aero shape translate into crankarms? wheelsONfire wrote: The fun and /or strange in all this, is that they could write up whatever they wanted and we would be inclined to believe it. Look at aero helmets. Apparently short and round works just as well and long and pointy. Enve has gone from pointy and narrow, to rounded and wide, to pointy and even wider. When everyone else was doing wide and rounded, Reynolds went wide and extra pointy. I guess the consistent thing lately is that all the rims are wide. On the topic of this thread, so long as the outer brake tracks are wider than the tire, then angling the brake tracks can give you some benefit. Maybe. Otherwise not. Reviving old thread to see whether there's any recent consensus. The only logic I see behind angled brake track is for rim brake clearance. The previous iterations (e.g. 5700, 6800, 7900) didn't officially support modern rims. In other words, calipers are not wide enough for modern rim profile Clearly, there's an aero penalty by going to angled brake track, instead of straight brake track. It defeats the purpose of 105% rule. Thoughts? It seems like a 23mm tire on such a rim would make a better airfoil than on a rim with straight brake tracks where the leading edge would be blunter. Anyway, why have much aero concern about a 33mm deep rim? If you want maximum aero, go deeper, a lot deeper. Sure, but depth will not necessarily trump a well-designed rim profile. Wide 33mm rim could perform as well or better than narrow 45mm rim. According to Hambimi's data, there's a delta of 6 watts. After all, bulb shape creates high degree off pressure drag. 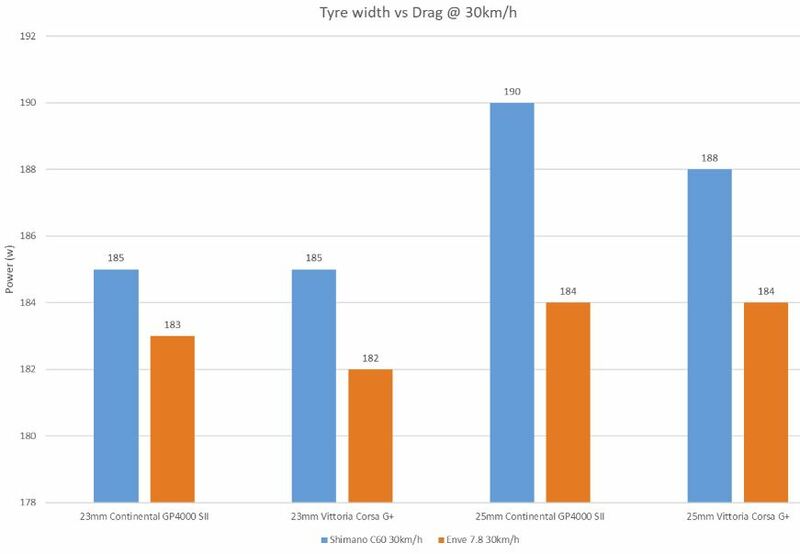 Hambini's chart shows what happens when you have a wide tire on a narrow rim I don't see how it shows that a 33mm rim will be faster than a 45mm one when the correct tire size is fitted. Both tires in that chart measure big. The 25mm GP4000 will measure 27-28mm. The 23mm tire measures 25mm. Putting that on the 22.4mm wide C60 rim cripples that rim but it doesn't mean it is a slow rim just that the wrong tire is on it. Hambini's test, if anything, descriminates against 23mm wide rims since his test tire is 25mm wide. 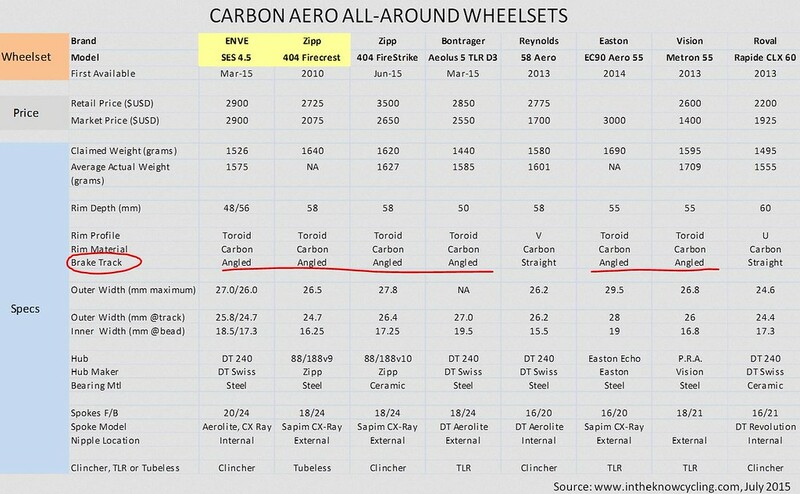 If a true 23mm wide tire was fitted the C60 would probably show much better in the wheel comparison chart. Let's take true 23mm tire out of proportion because it's not gold-standard these days. Looking at the trend, standard rim profile is few years behind the curve. In a grand scheme of things, 98% of wheel selection is ~25mm wide. It has been proven numerous times by reputable sources that narrow tire is slower. If you ask me, ~25mm wide rim is a lousy investment, unless you love 23mm tires are 110 psi. Too many people ignore rim profile and solely focus on depth of the wheels. I just ordered 25mm wide (at the brake track) EIE wheels, and I'll be running Schalbe Pro One 23s at the front (25 at the back). The only logic I see behind angled brake track is for rim brake clearance. The previous iterations (e.g. 5700, 6800, 7900) didn't officially support modern rims. In other words, calipers are not wide enough for modern rim profile Clearly, there's an aero penalty by going to angled brake track, instead of straight brake track. It defeats the purpose of 105% rule. Thoughts? Huh? 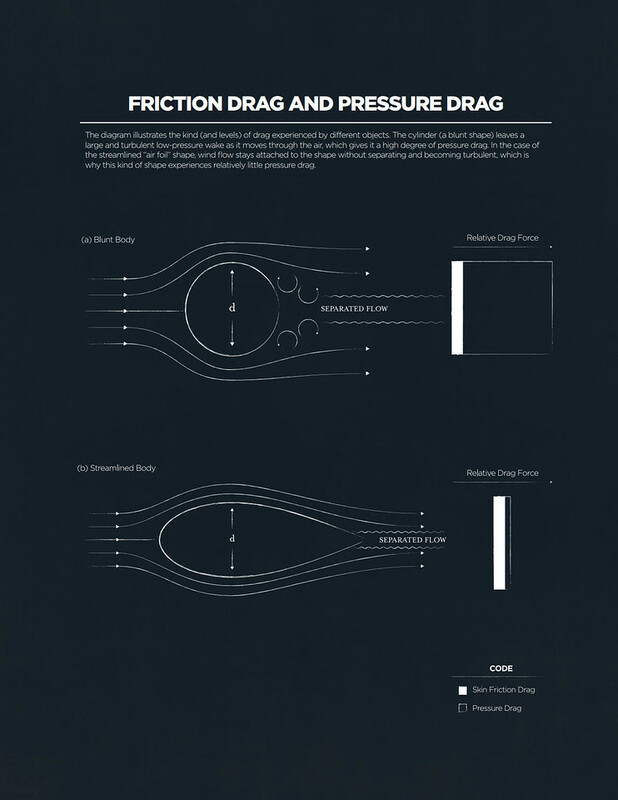 A flat brake track tends to cause flow separation at the tire/rim interface. A rim that doesn’t require flat brake surfaces can keep the flow attached a little longer at that transition. Brake clearance has nothing to do with it. Think about what you’re proposing: that a flat brake track happens to be the most aerodynamic contour for that area. That’s exceedingly unlikely from a probability perspective. Besides, angling the brake track doesn’t buy you much brake clearance at all. What is the purpose of angled brake track? Will this exhibit less turbulence or this something that Zipp wants you to believe in? Didn't Zipp introduce angled rim profile back in 2011? 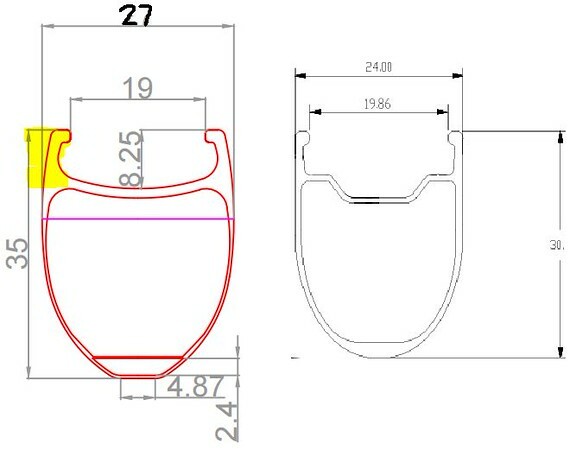 Perhaps angled rim profile serve a purpose for rim strength and consistency of inner width? For this particular rim profile, inner width would have to be increased to ~21mm, in order to have 26.2mm straight brake track. I'm just trying to understand the purpose behind this or they got us on the hook with another marketing ploy? I have drawn a really crap sketch on my marker board to illustrate what I think most people think airflow looks like and how it actually looks. 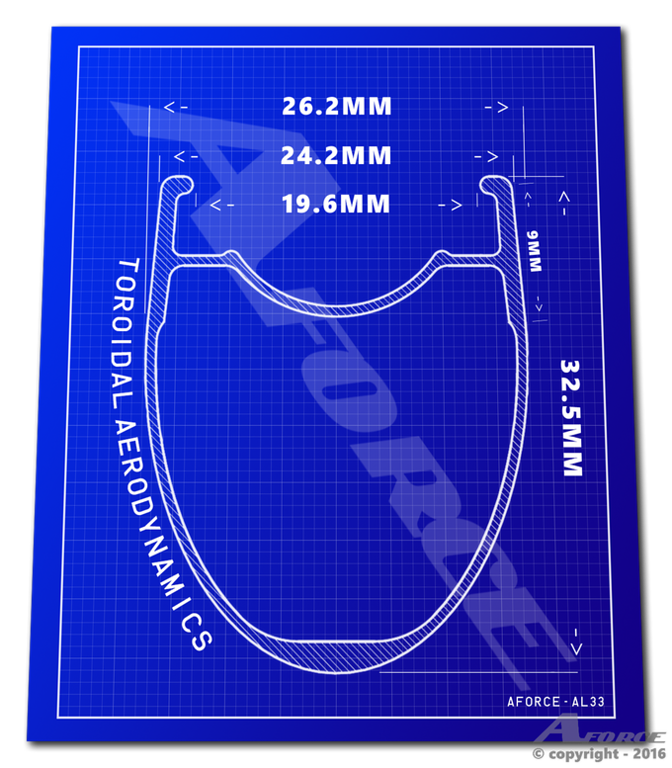 If you assume the conentious issue of yaw angle is the constant and zero, the top drawing shows how marketing perople show the aerofoils off. Nice steady flow going over the aerofoil section. In reality the airflow is much more like the bottom sketch. The yaw angle is still zero but you get vortices and a solid body (the aerofoil) slicing through the turbulence, the air does not hit the aerofoil square on despite a zero yaw angle. This is the difference between effective and actual yaw angle. For a wheel test to be valid and use steady state analysis like the top picture then you would need to increase the yaw angle to more than you think to give an accurate reading. My critics who are mainly on slowtwitch can argue over whether the systems I use for developing wind tunnel simulations to model the real world are accurate or not but they cannot argue the airflow hitting the wheel and tyre looks like the bottom picture (unless they are in still air in the middle of nowhere on a perfectly smooth surface with all bodies around at uniform temperature). When the airspeed gets faster (rider goes faster), the vortices and turblence is straightened by a stagnation point in front of the rider so the yaw angle gets smaller. In general providing the sweep of the aerofoil is not too abrupt and the brake track is not designed poorly, a wheel with a DEEPER rim will always be faster. A deeper rim reduces the area of the wheel that has no solid boundary in it and reduces the drag from spokes. Hence a deeper rim will be faster. The caveat is provided a moron hasn't designed it.